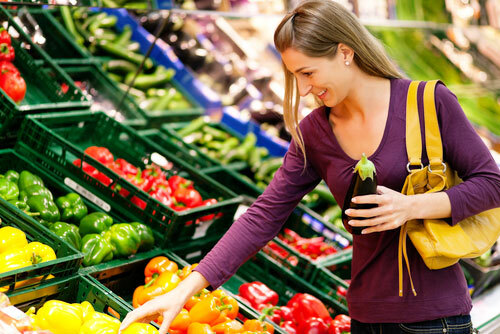 Even though the way in which you buy food might appear to hold very little relation to your eating habits, it is actually surprisingly important. Your home is the center of your healthy nutritional environment and the way in which you buy food has a very large influence on the type of foods that find their way into your kitchen and eventually into your body. As stated before, a grocery delivery service is ideal because it will ensure that you buy only the healthy foods on your list and do not succumb to any unhealthy temptations in the grocery store. In my case, however, I do not use such a service because I live only 500 m from a medium sized supermarket and a specialized health-food store. I keep a list of all my favorite nutrient-dense, whole foods on my computer and simply discipline myself to only make my shopping list from that master list every week. Then I walk to the grocery store early on a Saturday morning when there are few people and fresh produce, pick up everything on the list and carry the bags back home. The entire process from making the list to having my healthy food safely packed into my fridge and cupboards takes only 45 minutes. This regiment has now become so second nature that it happens almost by itself and I never even look at the rows and rows of refined sugars, refined grains and processed meats in the store. My healthy nutritional environment is therefore effortlessly maintained through my grocery shopping. Again, even though it might seem like a waste to even talk about this step, it is absolutely crucial that you optimize your grocery shopping. Such trivial tasks easily become very frustrating when they are not functioning optimally. And yes, it is when we are frustrated that we are most likely to mess up our healthy environment by buying all sorts of unhealthy stuff. Don’t let this happen to you. I’ve been looking at how the American culture differs from some European cultures on how grocery shopping is conducted. 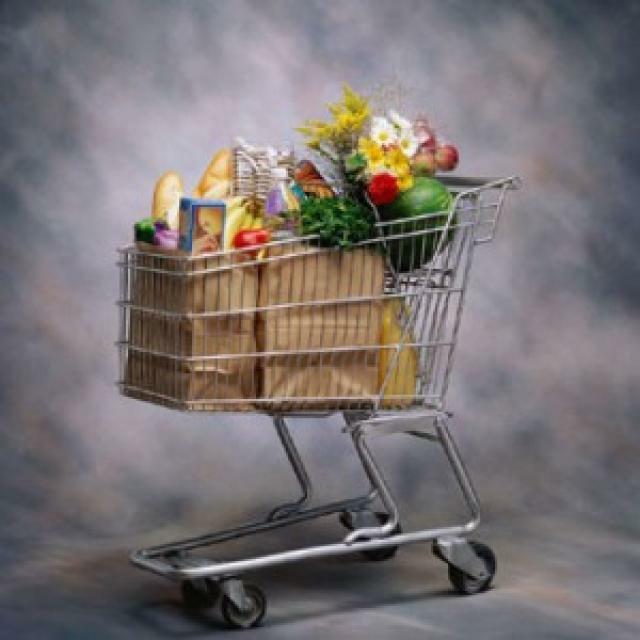 Americans will grocery shop once every two weeks with minimal trips here and there. This is why some people need a car to drive 5 mins to the store do to the bulk of shopping. Since I’ve been researching, mostly, at the French method of eating, I noticed that most people shop every day buying just what they need for the evening dinner. I like this method because one can get the freshest food while being able to walk to the shop (or market) and carry what is needed home. It’s very interesting to study differences in food culture. Ah, thanks for pointing out the cultural difference in grocery shopping. That is one thing I did not think about and I might make a few tweaks to this article based on your insights. How common is it to use a grocery delivery service in the US? Here in Norway that is not very common, but that is understandable because the socialistic political system makes such a service extremely expensive. The US should not have this problem. In Seattle, it is common but not common enough. When I lived in the city, I had a local organic box delivery for a year. It was easy to use and average price (2 person box for $35.00 per delivery back in 2006 – 2007). More popular is buying into a CSA (community supported agriculture). One can sign up for a year or a season (most of the time one cannot order by the box.. only by season or year) in their area. Pick up is usually a local market or grocery store, but not delivered to individual houses. Here’s an example/description: http://www.localharvest.org/csa/. It’s really a great idea and people in the Pacific Northwest use it…. more so for the young professional mid-income people. I have no idea if this type of farm agri shopping is popular through other parts of the US but here is thrives. Thanks Claudia, that is some really helpful info. It seems like Americans actually have a lot of good options. I wish that I could get an organic box delivered to my doorstep every week. A later section of the One in a Billion project will focus especially on grocery shopping and I will include this info in that section. I’d like to note that these organic boxes and CSA’s are easy to sign up for, but they are not cheap. “A CSA share is $550 for 22 weeks. A U-pick flower share is an additional $132 (1 medium-large bouquet of flowers/week). Egg shares are $154 (1 dozen eggs/week).” I doubt if a majority of American’s would buy something like this unless they are really passionate about local organic farming. Thanks Claudia. I don’t really have a feeling for American food prices though. If you have to venture a guess, how much more expensive is it to eat organically in the US than to eat commercially? 50% more expensive? Double? Even triple? Let’s cool at bread and milk. $4.99: Pure Eire Local Organic 2% half gallon. $2.00: Safeway Brand 100% Whole Wheat 24oz. $1.49: Ovenjoy White Bread 22oz. This is a rundown of the types of product varieties. The national brands (conventional/organic) were cheaper than local organic. Also with eating out. Getting a sandwich at, say, Subway is around $5-7.00 (footlong). To get a sandwich at a restaurant which uses local organic products costs $7.00 for a half . That is half of a normal slice of bread. Of course, it is delicious but not affordable for the masses. IMO, it is all in how one sets their priorities.